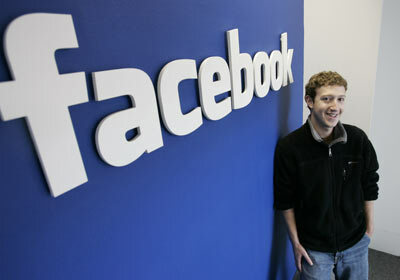 Mark Elliot Zuckerberg (born May 14, 1984) is one of five co-founders of the social network website Facebook. As of February 2014 Zuckerberg is the chairman and chief executive of Facebook, Inc. It is estimated to be worth 27.9 billion. Together with his college roommates and fellow Harvard University students Eduardo Saverin, Andrew MCollum, Dustin Moskovitz and Chris Huges, Zuckerberg launched Facebook from Harvard’s dormitory rooms. The group then introduced Facebook onto other campuses nationwide and moved to California, shortly afterwards. In 2007, at the age of 23, Zuckerberg became a billionaire as a result of Facebook and the number of Facebook users worldwide reached a total of one billion in 2012. Zuckerberg was involved in various legal disputes that were initiated by others in the group, who claimed a share of the company based upon their involvement during the development phase of Facebook. Since 2010, Time magazine has named Zuckerberg among the 100 wealthiest and most influential people in the world as a part of its Person of the year distinction. In 2010 Zuckerberg was played by actor Jesse Eisenberg in the film The Social Network, in which the rise of Facebook is portrayed. Will My Face Stay Like This?